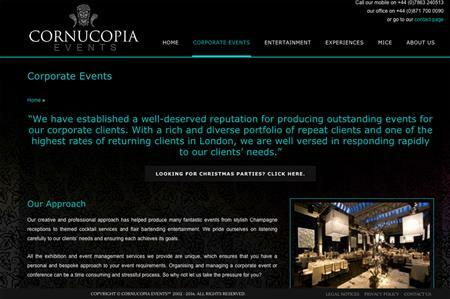 Cornucopia Events is on track to record a turnover of £11.1m for the 2016 financial year, as it continues to expand its team. The agency, which is expecting a 10% increase in turnover this year, has appointed two new event managers in line with its development, Savanna Attridge and Axhel Gomez. The company has also gained several new clients this year including Mactus, for whom it is organising a large staff event for next year in Thailand. Managing director Mini Vohra, said that despite the tough economic and political climate, the agency was on track for further growth. "As a company that does incredible amount of international trade, the Brexit decision was a disappointing one. We have been affected by the currency exchange rate but it’s time to look forward." He added that the company would continue to grow and develop over the next year, focusing on a wide range of events including B2B and private invitation only shows and parties.